The MINI MAXXI TABLE is beautiful and practical. Within the structure there is a central box storage and two hand-woven pencil holders. 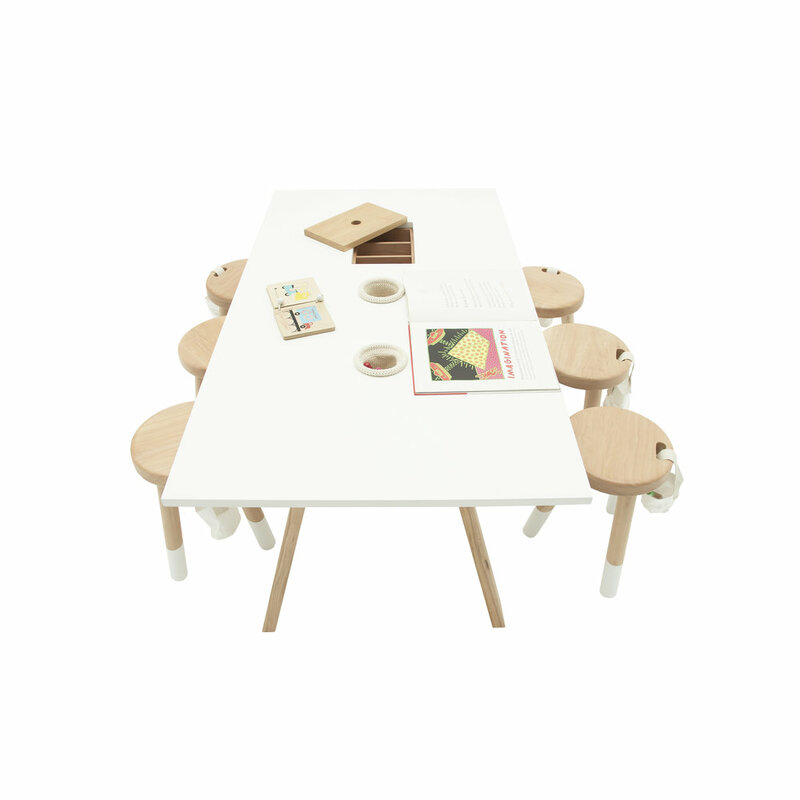 + 2 up to 10 y-o: The MINI MAXXI TABLE can be use as a desk, working and playing table. It’s central box is ideal for toys and stationery storage. + 10 y-o: also, it’s perfect as a coffee table! + Matches perfectly with ORIENTE MILK STOOL and NIDO CHAIR. 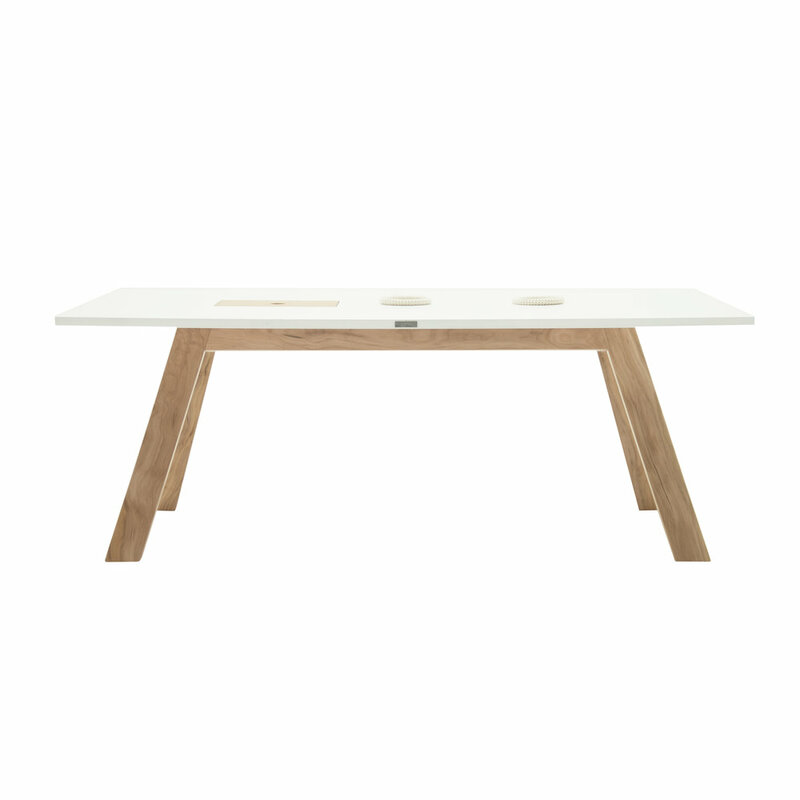 Materials: Alder Wood structure with non-toxic matte lacquer surface in white. Includes two hand-woven pencil holders (in pure cotton).